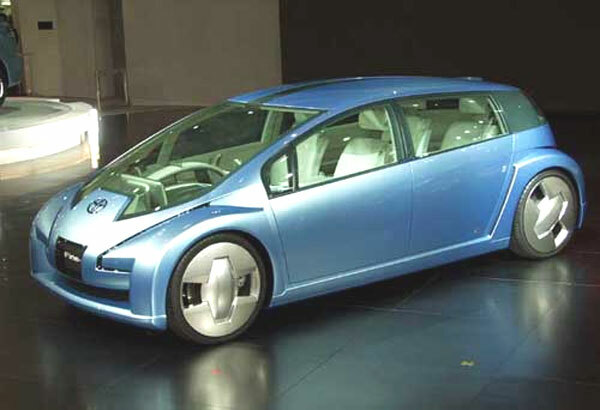 Was the first fuel cell concept (that the designers liked and that had a chance) to be shown at the 2002 North American Auto Show in Detroit! 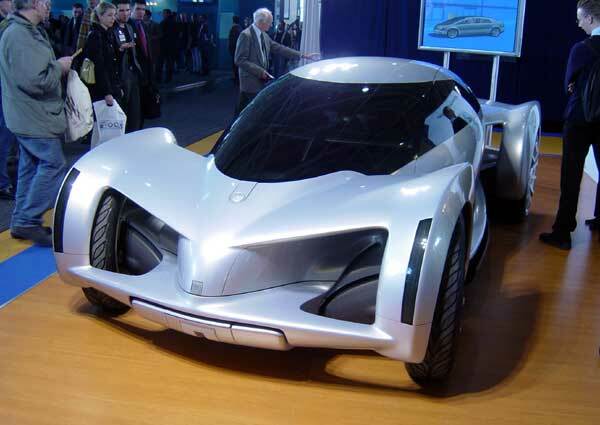 Zero-emission fuel cell vehicle (FCV) will eventually make gasoline-electric hybrids old. GM has invested about $1 billion in developing fuel cells to power electric motors! Estimated to make it's debut into the commercial market by 2010! Has a skateboard like chassis! The Fine-N (Fuel Cell INnovative Emotion-Next generation) shows how latest generation fuel cell technology, opens up a new world of design possibilities! The driving range is up to 500km (312.5 miles). Also each wheel is equipped with its own 25kW (kilowatts) motor for better handling, braking and acceleration! The Fine-N is protected by a face recognition system that recognizes the driver before unlocking automatically. 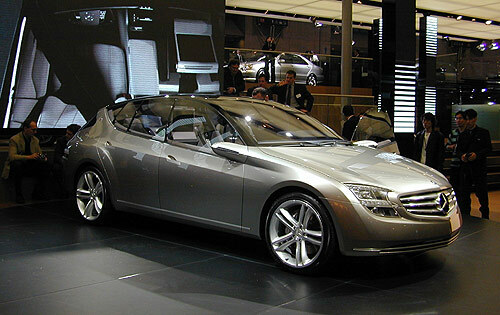 Was showed at the 2003 Tokyo Motor Show! 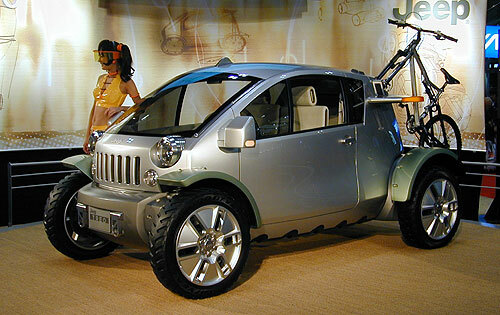 This futuristic three-passenger off-road vehicle from Jeep is designed to run on fuel-cell technology. The Jeep Treo is powered by two electric motors driving the front and rear wheels! Premiered at the 37th Tokyo Motor Show. The configuration allows for the front wheels from the mountain bikes to be removed and mounted in the rear of the interior, while still allowing a third passenger to ride along. The Treo also has by-wire technology which means it dispenses energy when it's needed! This RX-8 can run on either hydrogen or gasoline with no modifications required to switch between the two. The Renesis Hydrogen Rotary Engine is a unique alternative-fuel vehicle made by Mazda! Mazda is also presenting advanced technologies including a hybrid system with electric torque assist and start-stop technology! 109hp at a hybrid engine compared to 207hp gas engine (which is considerably slower)! The current Mazda RX-8 is about 238hp! The Mercedes F500 Mind showcases ideas for enhancing safety, drive technology and comfort. Electronic accelerator and brake pedals! The night vision system projects its images onto the right-hand display. The system consists of two infrared laser headlights on the front of the vehicle and has a range of 150 metres! The F500 has a diesel/electric system/engine! 250-horsepower 4.0-liter diesel V8 with a 50kW electric motor. 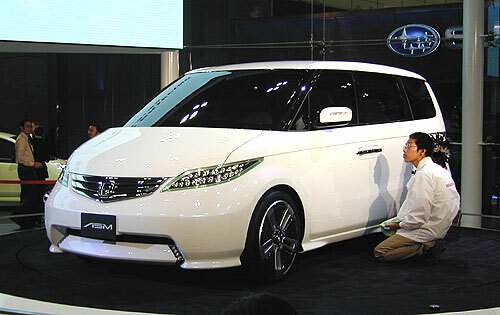 It's a new Odyssey minivan for the Japanese market. It's going to compete with the Lexus RX400h and the Ford Escape Hybrid in the world market. A sliding 10-inch rear-seat monitor! It arrives for U.S. market in the 2005 model year. An 8-seat minivan offering both advanced technology and luxury! Collision Mitigation Brake System (CMS) safety technology! The 2nd SUV hybrid showed by Toyota. Other Hybrid was the Lexus RX400h. Will be powered by a new version of the Hybrid Synergy Drive System, specifically developed to meet the load-carrying requirements of a midsize SUV. Promising a combined horsepower of approximately 270 horsepower and 0-60-mph acceleration below 8 seconds. Offers an electric four-wheel-drive with intelligence (4WD-i) system that utilizes front and rear electric motors to deliver balanced power to all four wheels. The Highlander Hybrid goes on sale in early 2005.